Dan joined the Rhinos Academy in 2017 from Bradford Bulls and made his first appearance for the club in the pre-season friendly against Doncaster. 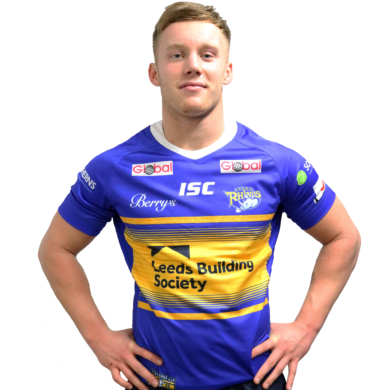 He has been one of the stand out performers for the Academy, helping the team reach the Grand Final in 2018 and was rewarded with a place in the Rhinos squad ahead of the 2019 season. He was a Rhinos season ticket holder as a youngster and joined Bradford in 2015 from Leeds community club Stanningley and was a regular for the Bulls Academy. At Stanningley he won the Yorkshire Cup and the Leeds and District Cup. His first rugby memory was his first game, playing against Guiseley Rangers, aged 8 and the most memorable rugby moment was scoring a hat trick in a Cup Final.